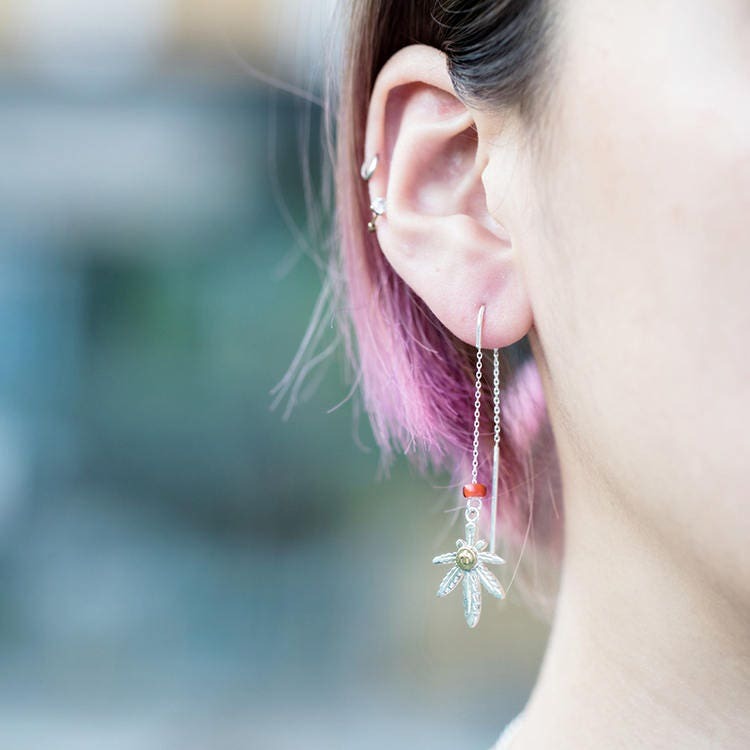 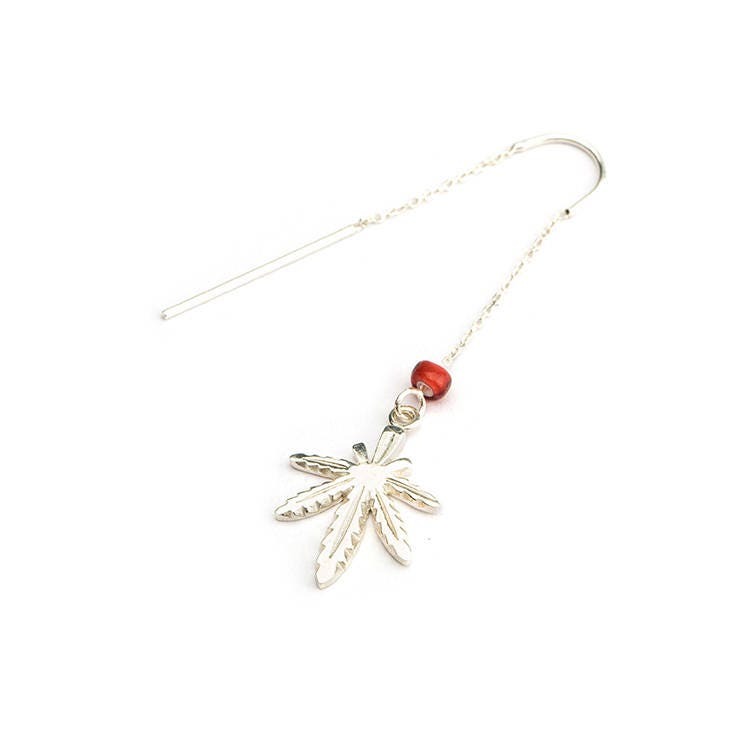 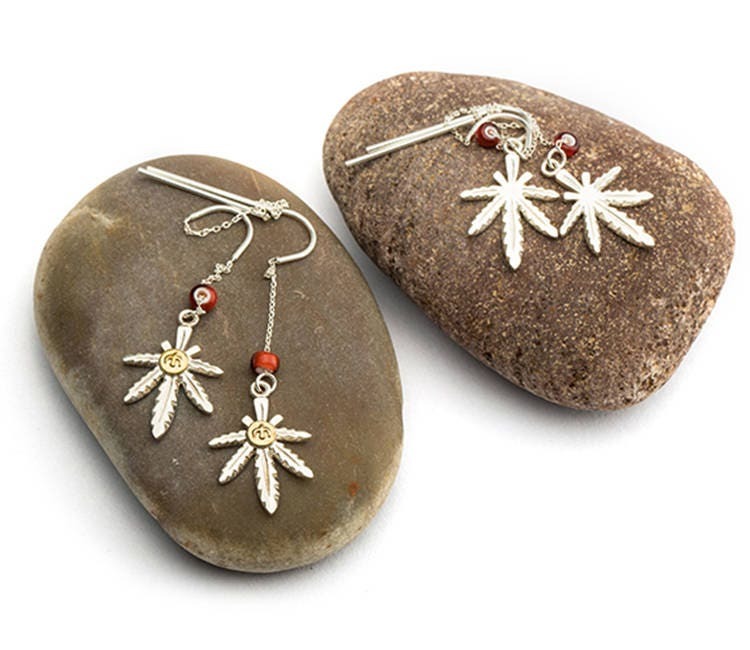 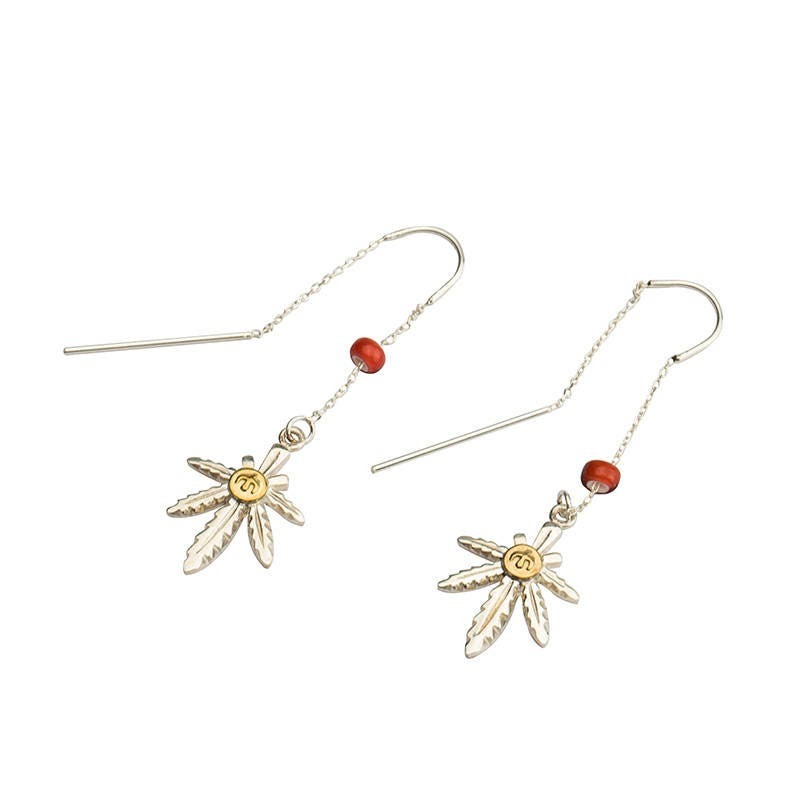 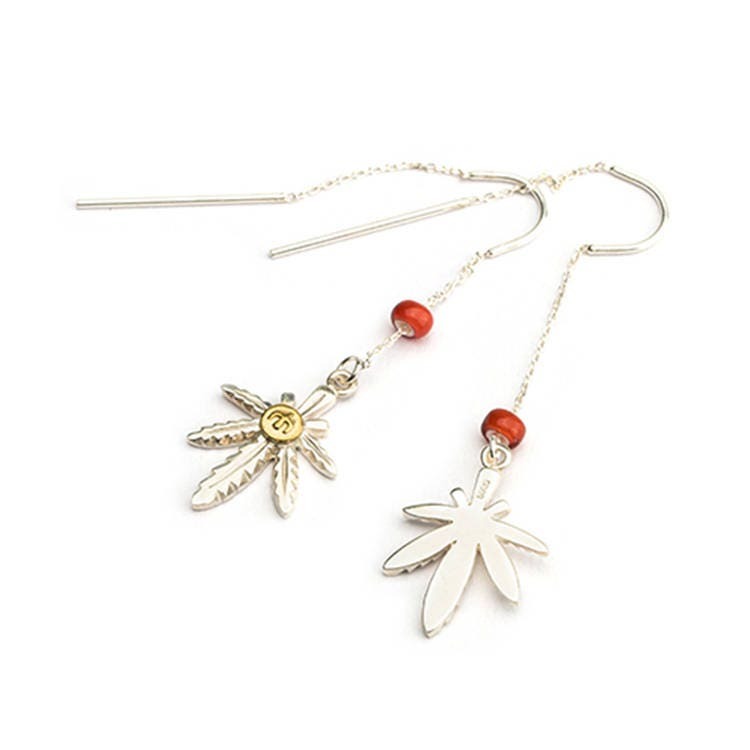 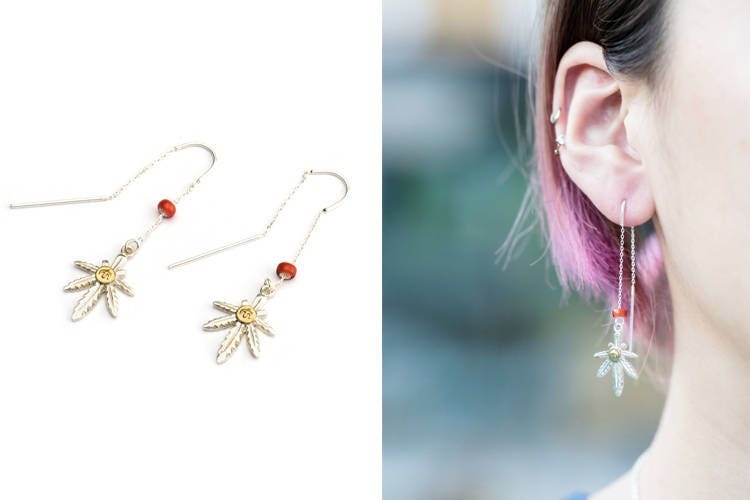 The silver leaf earring is an irreverent piece of statement jewelry - featuring the cannabis leaf family - hemp or marijuana. 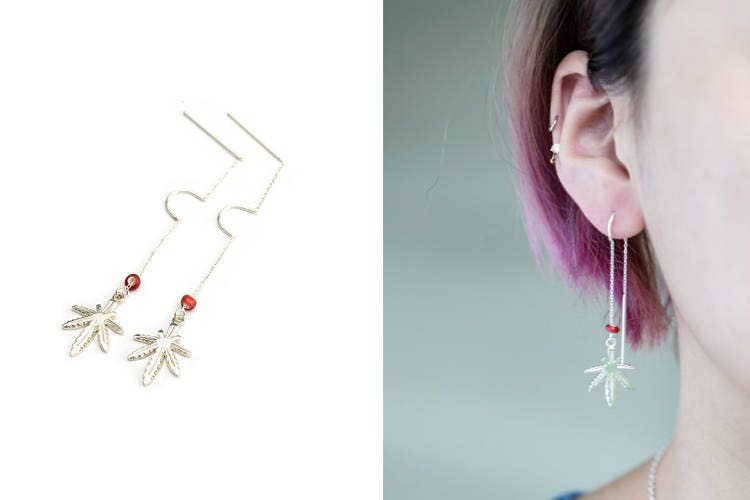 Wear it to make a statement, or just for fun! 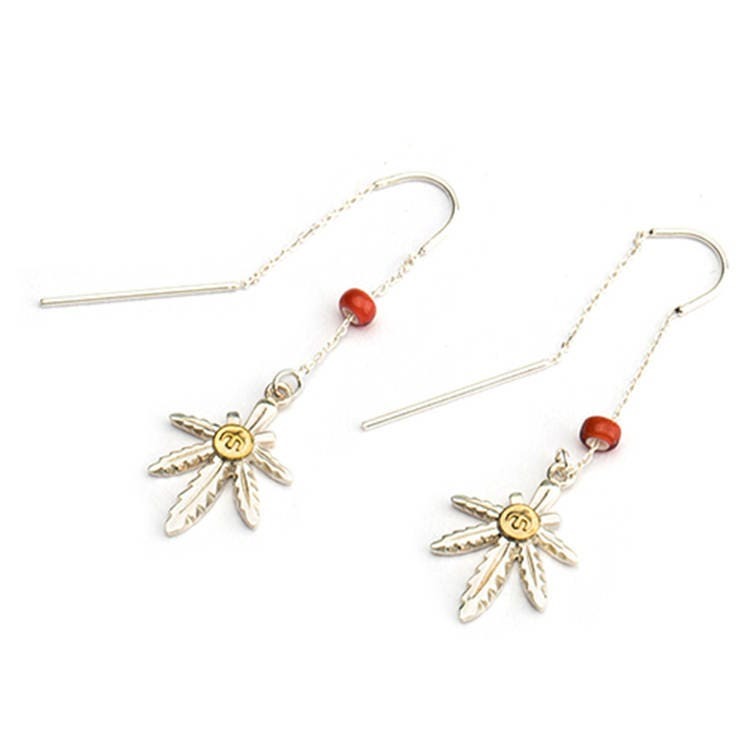 Wear it as a solo earring, or add it as a spice to your existing earring family. 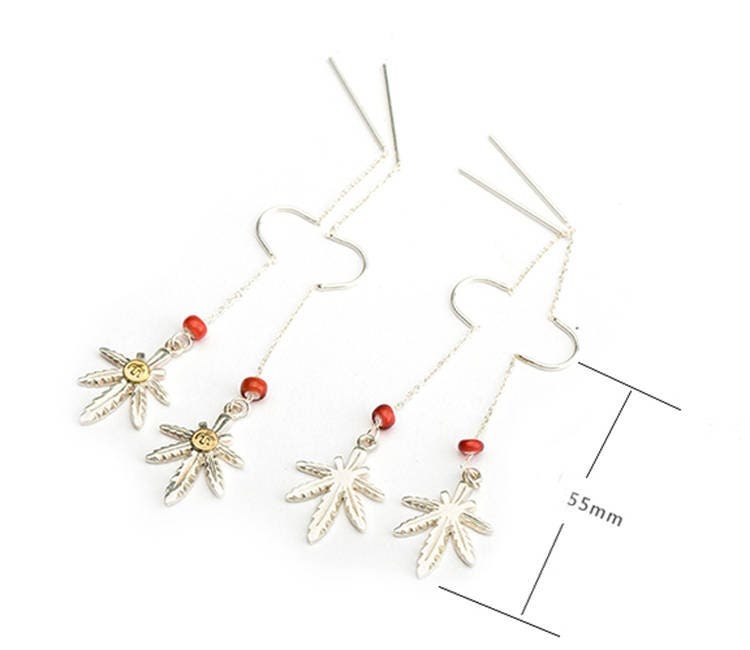 It will look great in a casual dress, or for an outdoor party with friends! 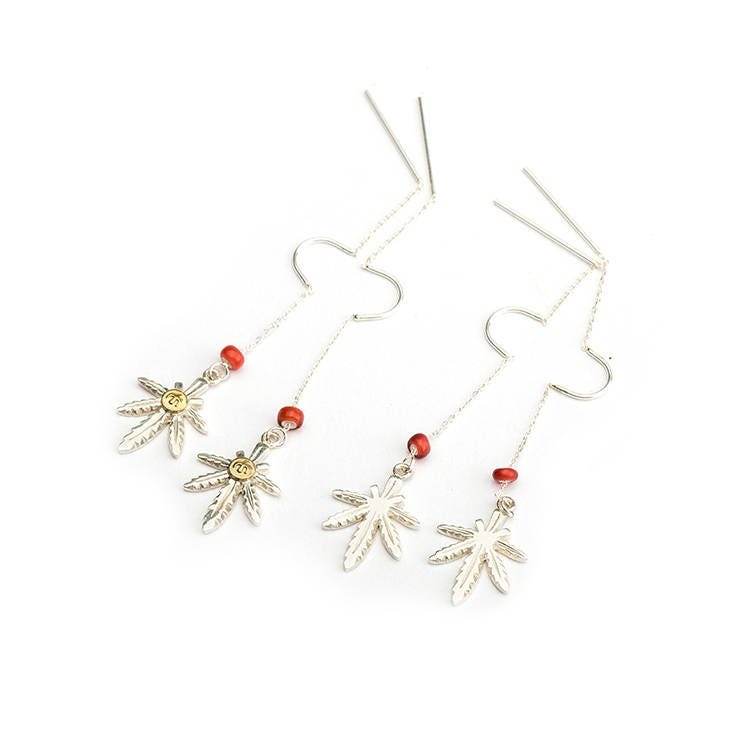 Material: 925 sterling silver, brass.